Radicals attacked entrepreneurs, who came to the tax forum in Dnipro ⋆ News ⋆ Official website for Oleksandr Klymenko. As you know, on May 25, representatives of small and medium-sized business were planning to carry out the Forum «Fair taxes – Uspishna Kraina» in order to discuss principles of fair tax policy in Dnipro. However, according to the page of the «Uspishna Kraina» in Facebook, representatives of radical paramilitary organizations with physical violence to entrepreneurs. During the Forum, provocateurs attempted to attack the participants. In particular, aggressive people took away the flags from entrepreneurs and tried to trample it down. Radicals also tore posters of the forum and used physical force. According to Marina Dedusheva, the head of the «Uspishna Kraina», who spoke to entrepreneurs, who gathered in front of Dnipro Regional State Administration: “Local authorities had to support such event. Do they care about the future of inhabitants of their city? However, instead, they made all efforts in order to disrupt the Forum. They made it via threats, intimidation and radicals!”. Let us remind, initially the Forum should have been held in “Bartalameo” local club. However, owners did not allow the party to the building due to pressure of radicals. In addition, participants of the forum (representatives of small and medium-sized business, tax experts and public figures) were receiving threats from unknown numbers. That is why, leadership of the «Uspishna Kraina» had to change a meeting point. In particular, the event took place in front of the Dnipropetrovsk Regional State Administration. Oleksandr Klymenko, the honourable head of the «Uspishna Kraina», stated during the press conference: «authorities are afraid of voices of entrepreneurs, thus, the made everything in order to disrupt the forum». “We are not afraid of provocations; we are not afraid of radicals. Radicals are not pro-Ukrainian. 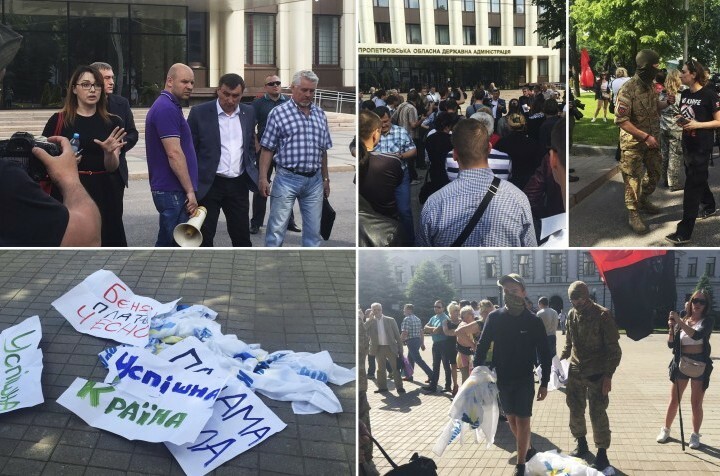 Nowadays, a small group of people tried to impose their views to all residents of Dnipro. It does not come about their own views, but about opinion of the oligarchs, who have transformed their city into their company. Moreover, they ignore the interests of people,”- Klymenko said. According to the politician, the party is intended to achieve justice. First of all, it comes about taxation: “We have to change this vicious system. Oligarchs usually withdrawn USD 11 billion from Ukraine p.a. At the same time, ordinary Ukrainians do not know how to feed their families. It is necessary to reduce the tax burden on ordinary citizens and business “- Klymenko stated. For instance, according to his words, reduction of the VAT from 20% to 5% for socially important goods – food, medicine, utility rates – as well as practice in European countries, will help Ukrainian families to save UAH 860 per one cubic meter of gas. “We are grateful to the residents of Dnipro and Dnipro region for such an active and brave position. We are not going to stop. We are going to carry out such forums across the country, “- Klymenko said. 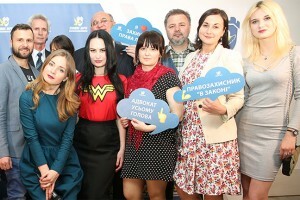 He also called on everyone to join the development of new Tax Code online on vsiabonikhto.com website and in public reception of the “Uspіshna Kraina” party, which was opened today in Dnipro. Despite the attacks of radicals, entrepreneurs named a number of demands to the government, namely: to achieve a justice and reduce the land tax; to fix clear and transparent rules for operation of small architectural forms, to refuse from demolition of retail outlets; to stop administrative chaos in regulatory bodies in the region; to stop pressure on business; to create favourable conditions in doing business field for ordinary entrepreneurs, not only for the oligarchs.